NO SHRINKING – Made from pre-shrunk fabric you’ll never have to worry about your BJJ GI shrinking after the first wash again. 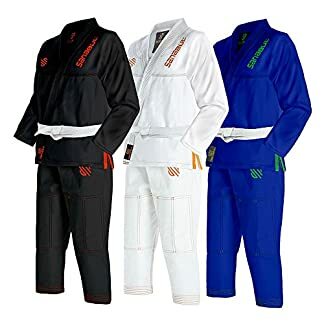 Just wash your ELITE SPORTS ULTRA LIGHT JIU JITSU GI in cold water and hang to dry. 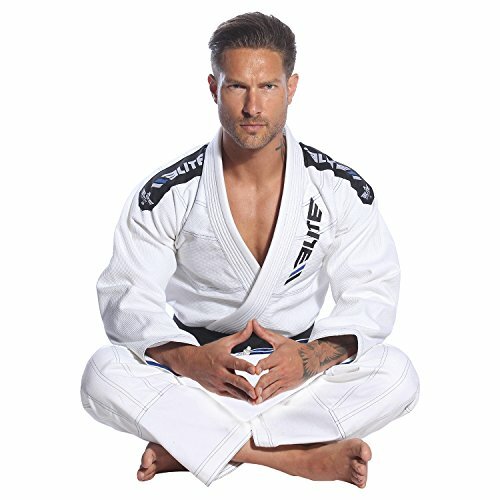 IBJJF APPROVED – This is an IBJJF approved KIMONO. Available sizes are for both males and females from ages 18 to up 55 years old. 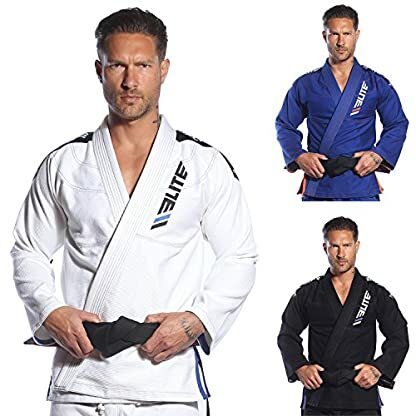 This Brazilian Jiu Jitsu uniform has a very stylish design and is also available in all traditional colors: black, royal blue, navy blue, white, and gray. 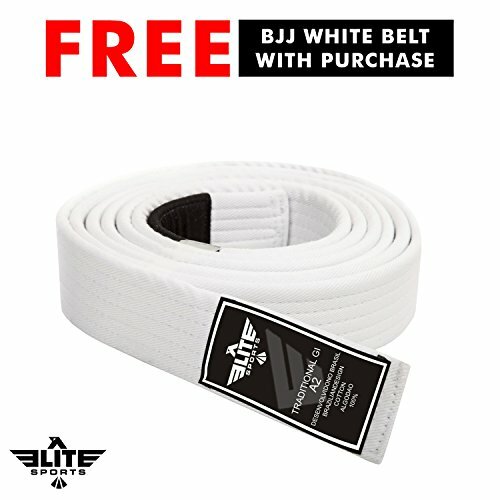 FREE WHITE BELT w/ STRIPE BAR – We’ve included a matching white belt if you’re just starting out. With this preshrunk gi we’ve paved close attention to the smallest details like the stitching and the tapered fit on the kimono itself leaving no excess material. You’ll be in amazed when your lightweight GI stands up to the test of time and hard work. The free while belt comes with a stripe bar that will allow you to earn your stripes and show them with pride as you earn them. 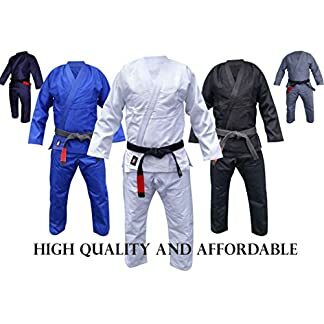 The pre-shrunk fabric means you’ll never have to worry about your BJJ GI shrinking after the first wash. Its durable lightweight material is long lasting & prevents overheating, allowing you to train harder for longer & keep your focus when competing. 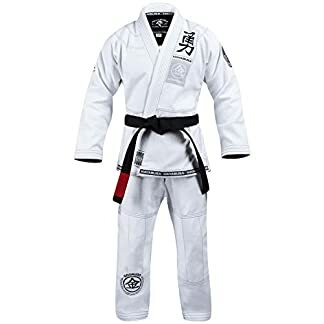 This is an IBJJF APPROVED KIMONO. Available sizes are for both males and females from ages 18 to up 55 years old. 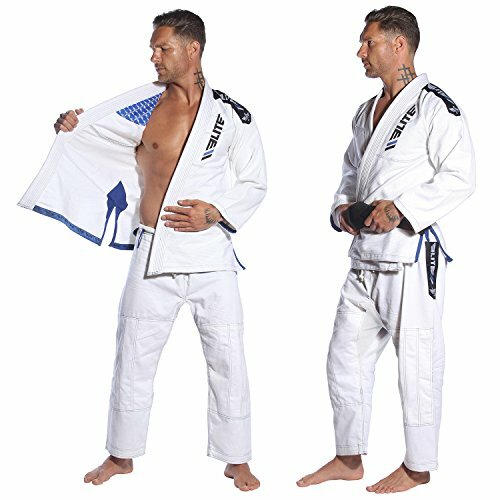 This BJJ uniform has a very stylish design and is also available in all traditional colors. 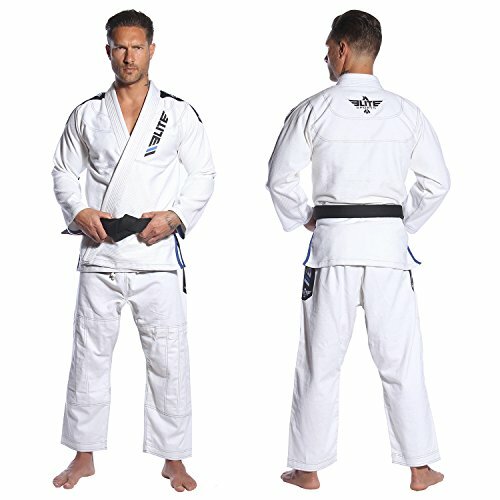 We’ve included a free white belt that comes with a stripe bar; allowing you to show your stripes as you earn them. 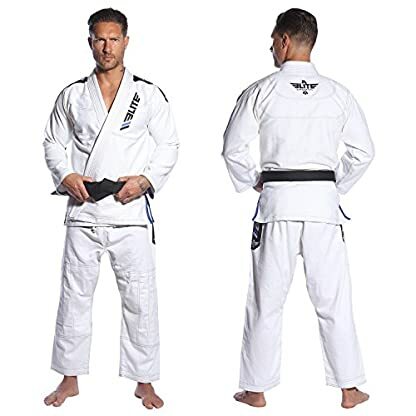 We’ve also payed close attention to the smallest details like the stitching and the tapered fit on the KIMONO/GI itself, leaving no excess material. Lightweight material disperses sweat faster & is treated against any buildup of bacteria & fungal infections such as ringworm and staph. The anti-odor treatment on our GIs means no lingering bad smells ruining your GI. Your GI will stay fresh, you won’t have to experience rancid odors distracting you from training or competing. Available in all of your favorite colors and sizes you’ll be able to find the perfect GI for you. No matter your fighting style, we’ve got the KIMONO that represents you. 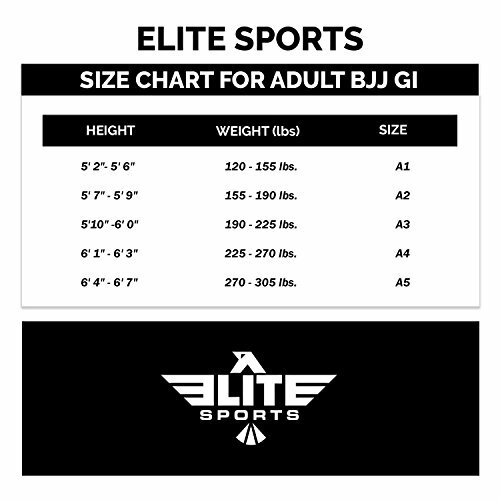 Simply Go To The Top Of The Page & Hit the More info Button To Order Your Elite Sports Ultra Light BJJ Gi w/ Preshrunk Fabric & Free Belt TODAY! REDUCE THE RISK OF INFECTIONS – Lightweight material disperses sweat faster and is treated against any buildup of bacteria and fungal infections. You’ll never have to worry about a buildup of bacterial infections or fungal infections such as ringworm and staph. The anti-odor treatment on our GIs means no lingering bad smells ruining your GI. Your GI will stay fresh, you won’t have to experience rancid odors distracting you from training or competing. TRAIN HARDER FOR LONGER – With it’s lightweight material you won’t experience the discomfort of overheating and you’ll be able to train longer and push harder in competitions. IF YOU HAVE QUESTIONS ABOUT SIZING, PLEASE WRITE YOUR QUESTION ALONG WITH YOUR HEIGHT AND WEIGHT IN THE CUSTOMER QUESTIONS & ANSWERS SECTION BELOW.